If you’ve ever had Mexican corn on the cob, then you know how simple it easy to turn a standard ear of corn into an amazing, flavorful treat that will have your taste buds screaming with joy. 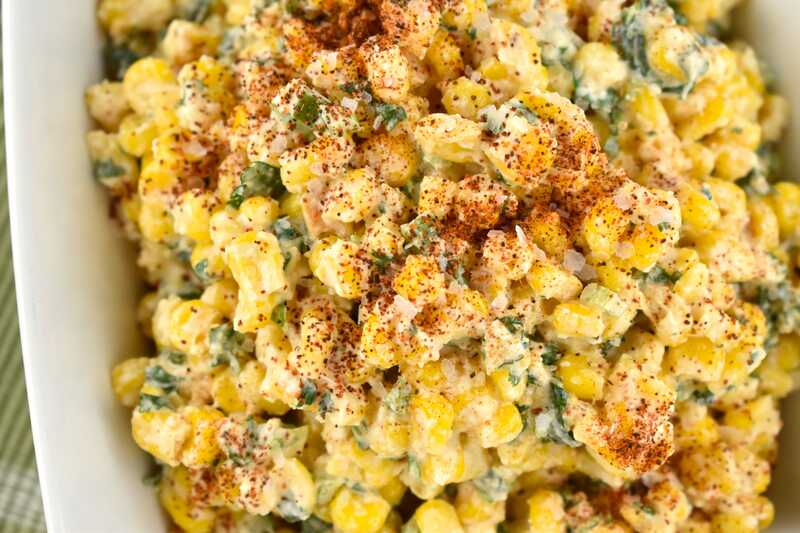 It’s basically a grilled corn on the cob, slathered in a spicy mixture of mayonnaise or crema, salt, a hint of lime, and chili powder, and then sprinkled with cotija cheese. It is AMAZING. In today’s recipe, I’ve taken all those wonderful flavors of the Mexican corn on the cob and transformed it into a tasty, easy-to-eat salad instead. My Mexican Street Corn Salad is not only a breeze to make, it’s spicy, smoky, tangy, and incredibly delicious. 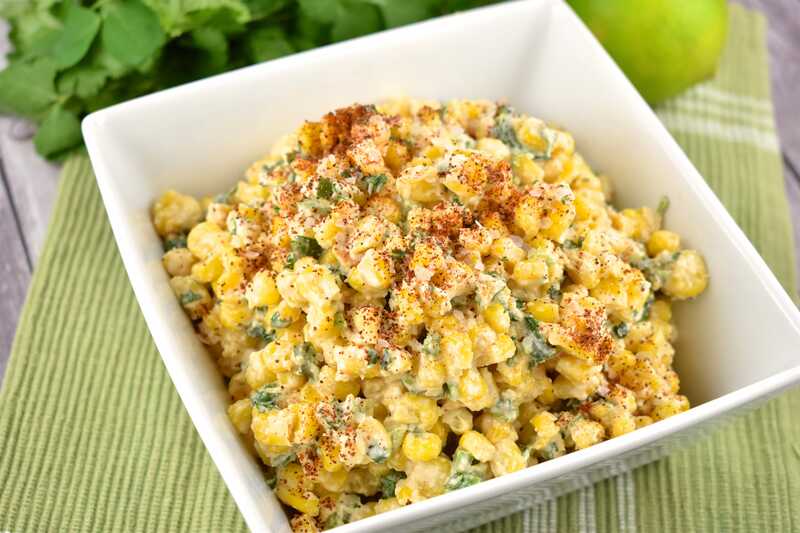 Mexican Corn Salad, also known as Esquites, is traditionally made with corn that is sauteed in butter with onions, salt, and chopped chiles, and then topped with varying combinations of fresh toppings like mayo, salt, chili powder, hot sauce, and lime juice. This popular side dish recipe is a staple in Mexican culture. You’ll find it often being sold at food carts, in little cups, and it’s a great way to take advantage of seasonal supplies of corn. I absolutely adore Mexican food, and now with all the changes in the Weight Watchers Freestyle program, I feel like I eat it almost every day – which is fine by me! Many of the main components of Mexican recipes are now zero Points, so it’s easy to come up with lost of delicious new Weight Watchers recipes that are low in Points. Since corn is now one of those zero Points foods, my Mexican Street Corn salad is an ideal low Point side dish! 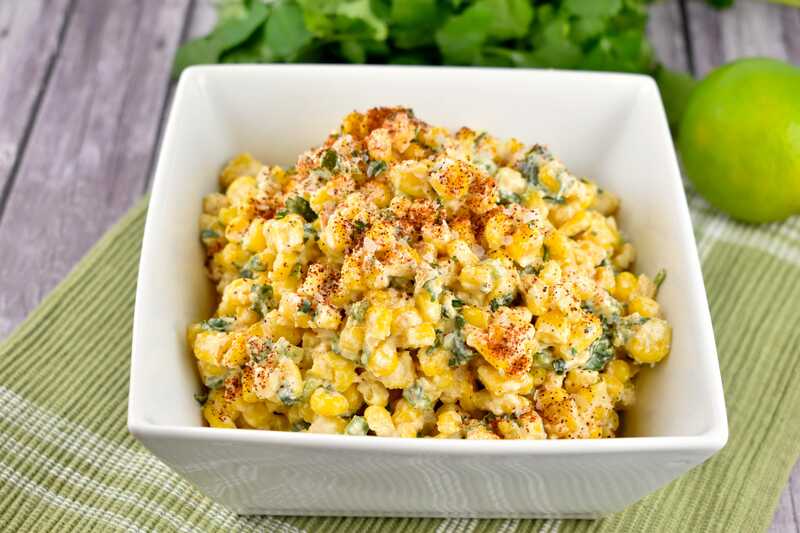 You can use fresh corn, right of the cob when making this dish, though I find it easier to just use frozen or canned corn. But please don’t skip the step to saute the corn first! That’s what really helps bring out the sweetness and flavor. Traditionally, this is meant to be a spicy dish, but I kept my version a little less heated because my kids were going to be eating it. But if I’m making this for just myself or my husband, I’ll double the jalapeno, sprinkle in some cayenne, and drizzle with a little hot sauce. This recipe calls for cotija cheese, which is a hard, cow’s milk Mexican cheese that is grainy in texture and a salty flavor similar to feta. If you can’t find cotija cheese at your local grocery store, you can use a finely textured feta cheese instead. 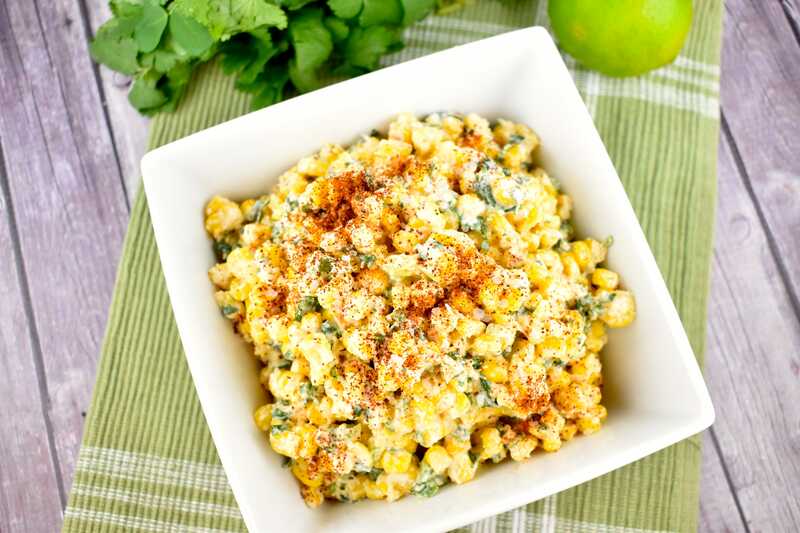 Take advantage of that zero Points corn, and give this recipe a try folks! It’s such a great alternative to basic salads and a great way to spice up your next BBQ. Hope you enjoy it! The perfect side dish for a BBQ or potluck, this unique salad is fresh and flavorful, and a great alternative to coleslaw or potato salad. Plus, it’s low cal and super easy to make! Just before serving, garnish with a sprinkle of smoked paprika.